eDiscovery or eDisclosure, is the process of procuring, securing and analysing sensitive electronic information use in civil and criminal proceedings. Electronic discovery, eDiscovery, or eDisclosure is the process in which sensitive electronic information is procured, secured and analysed for use in civil and criminal proceedings. Our services can be carried out on one solitary device, or an entire network depending on the nature of the case. 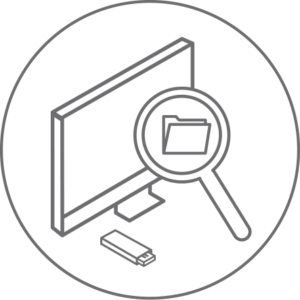 Our eDiscovery services are designed to support you or your organisation through both civil and legal proceedings, by providing evidence to support your case. Our highly-trained professionals are experts in sensitive data collection. We can help you identify what data sources are relevant, any back-up retention policies in place and if there is any hard copy data that needs to be collacted. Thanks to our dedicated and trusted specialists, we have consistently aided our clients through the litigation process by combining relevant expertise from various knowledge bases to bring you a high quality and reliable service. Anexsys are on hand to assist with data processing regardless of the volume in question. 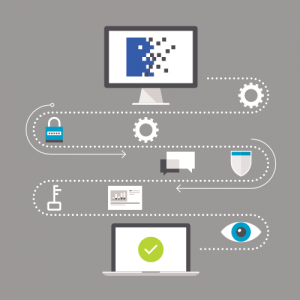 Thanks to our early data assessment and data processing capabilities, we are able to process large volumes of electronic information efficiently. Using processes including data extraction and advanced filtering, in addition to being compatible with file formats including Lotus Notes and cloud services, we are able to offer a high quality, effective service to our clients. For more information on Data processing and early case assessment, please visit our dedicated webpage. We pride ourselves on offering our clients the best quality service, which is why we use kCura’s Relativity as our principal document review tool. Combining simplicity with flexibility, Relativity permits any number of workflows to be created – making it easier to search, analyse and tag your documents. Held in a London based, tier 3 secure ISO – 27001 datacentre, you can ensure complete security of your documents, and access your data from any computer with an internet connection. For more information on hosted document review platforms, please visit our dedicated webpage. Our managed eDiscovery services provide hands on support to your company to address every element of your document review and disclosure requirements. We offer fully managed eDiscovery services that help to run your infrastructure, and provide licences and full support pitched at the required level; such as environment managed services that are dependent on your in-house capabilities, and subscription based services which assist you with your costs, and allow access to data-processing and project management services when required. Our eDiscovery and litigation support services are designed to assist you with your eDiscovery requirements, on the scale you require. Working with both court-tested forensic practitioners and eDiscovery project managers, we allow you to understand, identify and justify your data collection by asking you all the relevant questions. The public-sector eDiscovery service framework exists to aid the UK public sector body in reducing its costs and creating value, while complying with the legal disclosure requirements related to their organisations. Providing quick, straightforward access to public sector professionals, the service framework will allow specialists in each area to manage an array of competing demands, while releasing efficiency savings back into the central delivery of their public service. For more information about the public-sector eDiscovery service framework, please visit our dedicated webpage. DocumentFolio Illuminate - a powerful batch print, conversion and data extraction application, supports batch printing of native files, conversion to PDF, watermarking and endorsements, and native, text and metadata extraction for eDiscovery.